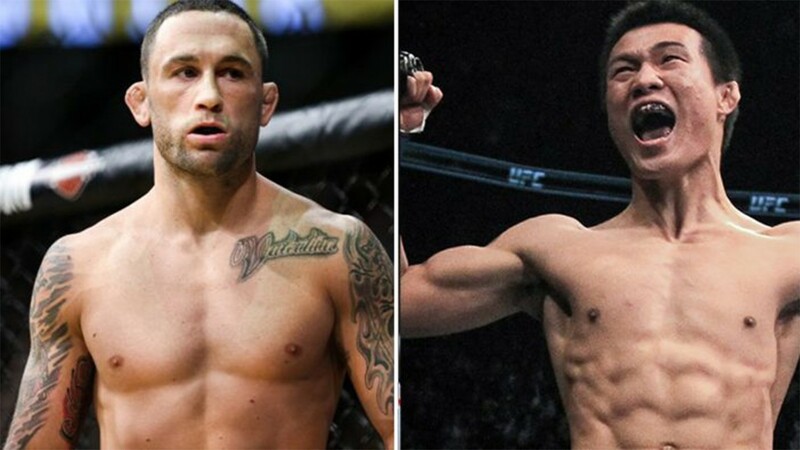 Frankie Edgar and Chan Sung Jung will cross their gloves at the main event of UFC Fight Night 139. It will be held at the Pepsi Center in Denver, Colorado, on November 10th. Chan Sung Jung had a good score in the last three fights. He defeated Dustin Poirier via D’Arce choke at UFC On Fuel TV 3 on May 15, 2012. Then he was defeated in the UFC Featherweight title fight to Jose Aldo via punches at UFC 163 on August 3, 2013. Korean Zombie was absent for four years due to military obligations. Yet, this didn’t affect his performances at all! On February 4, 2017, at UFC Fight Night 104, he knocked Dennis Bermudez out via world-class punch in the first round. Frankie Edgar also has the score of 2-1 in the last three fights. The Answer defeated Yair Rodriguez at UFC 211 via doctor stoppage on May 13, 2017. Then Brian Ortega knocked him out at UFC 222 on March 3, 2018. In his last fight, Edgar rebounded back with a unanimous decision victory over Cub Swanson. They fought at UFC Fight Night 128 on April 21, 2018. What are your thoughts on this showdown? Do you believe Chan Sung Jung can defeat Frankie Edgar? After all, it is a collision of two pretty much different fighting styles!